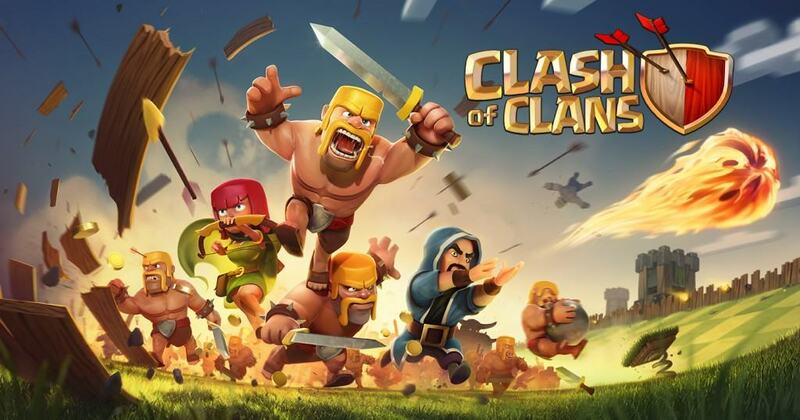 Launched back in 2012 as a freemium mobile massive multiplayer online strategy video game, Clash of Clans has shortly become one of the most popular games in the world, despite being available just for smartphones and tablets, running Android or iOS. The concept of the folks over Supercell (also known for creating Hay Day & Beach Boom) is one of the most resounding success stories in the industry, with a huge income and millions of users. Although they didn’t came with an original idea, Clash of Clans combines single-player mode with a very competitive multiplayer experience. Basically, the idea behind the game is to build a community, train troops and attack other players, in order to earn gold and elixir. These two resources can be used for improvements like building defenses or train and upgrade troops. On the other side, if you’re opting for the single player campaign, your sole purpose is to attack a series of fortified goblin villages. Nevertheless, the game can be a great methods of killing some free time in a fun way! Therefore, if you’re looking forward to starting your Clash of Clans adventure, you’re in the right place. Below you will find a detailed guide on how to play Clash of clans, starting with some basic steps, perfect for beginners, alongside advanced tips, for those who want to get a bit deeper into the game. So, without any other introductions, let’s begin, shall we? In order to start playing the game, you’ll need an account. It’s a very simple process and the game itself will guide you through it, so there’s no need to worry about this aspect. You begin the game managing a small village you need to protect using archers, cannons and other defensive units that become available throughout the game. Using the “tap and drag” feature, you can move any object in the game. A positive feature of Clash of Clans is the constant feeling of progression. As time goes on, you can improve buildings, collect resources and improve your defense system. 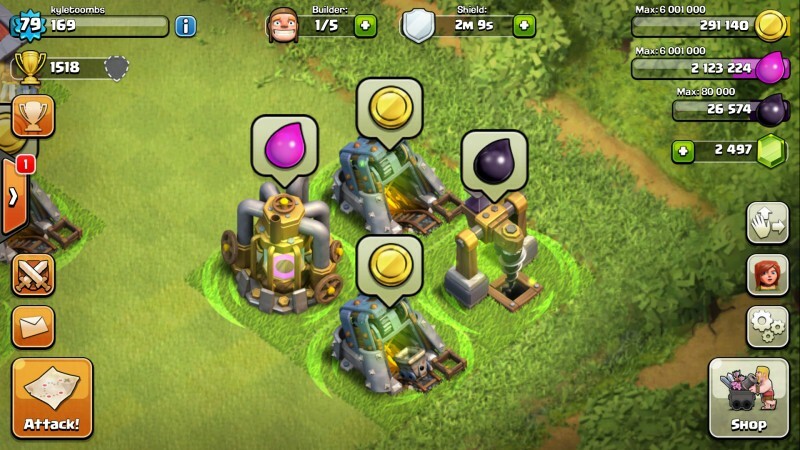 As you’ll gradually improve your buildings and troops, you’ll need an extra amount of gold and elixir. After you’re done with the first steps, you will basically start playing the game. Remember, your initial priority is to make your base more defensive, in order to protect your treasures. Therefore, it’s recommended to put your town hall in the center of the base, by this making it harder to take trophies from you, if the hall is taking down. 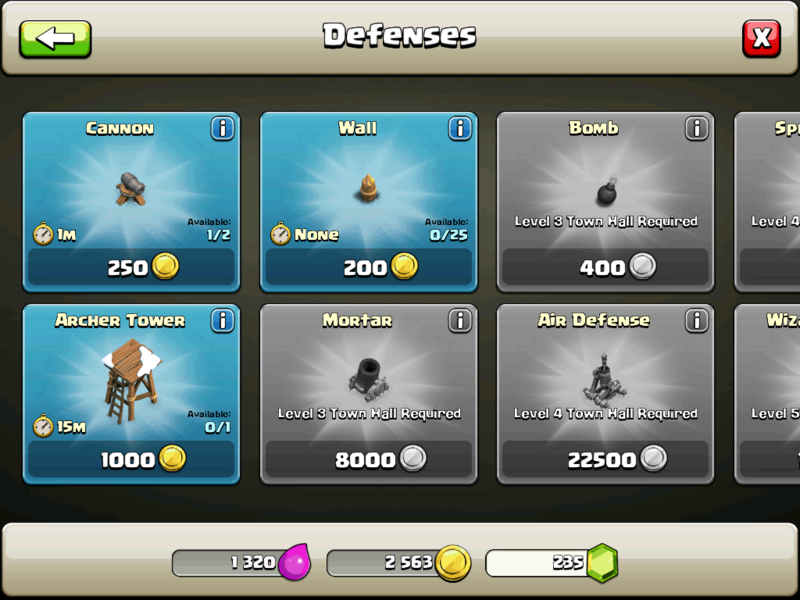 From the Shop, get walls and mortar and upgrade your base. Also, try to get them to level 3, in order to increase protection, as quick as possible. Hint: When you begin the game, your resources are limited, so put walls just around the most important buildings, like the town hall and gold and elixir storages. Be careful with how you’re administrating the resources, especially when it comes to gems. Avoid spending them and save them for another builder hut. This is the most efficient way to spend gems, since it enables you to upgrade multiple towers and other defenses at once. Now that you have your base, you must do everything you can in order to keep it safe from attackers. In order to do this, make sure you follow these tips. 2. Keep the key buildings in the most defensible position. To be more specific, the town hall and the storages must be in the center. 4. Make use of traps. They can do a lot of damage to your enemies and they are also worth upgrading. Place them strategically, in places your enemies wouldn’t expect to see them. In the end, in order to learn how to play Clash of Clans, you also need to learn how to attack others. We’ve put together some useful tips, so check them out. 1. Attack whenever you can. All attacks have advantages, as they can get you items and trophies. Of course, it’s better to lose trophies and get resources from easier defenders. 2. Check the enemy base before attacking. 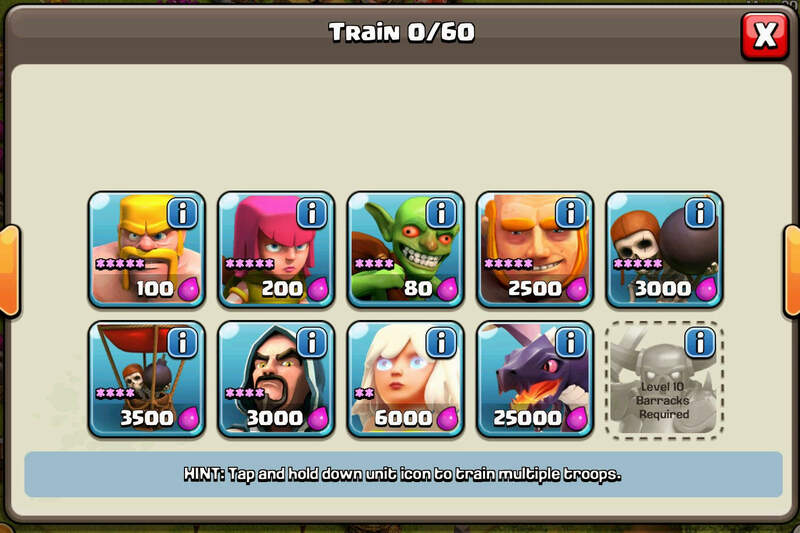 In the end, the main reason why you’re attacking is to get as much gold as possible from an enemy base, so check how much they’re stacking. Remember, a large amount is also very well guarded, so you need to take a few risks before doing this. 3. Attack the treasures. Search the storage areas for gold and elixir first. HINT: If you manage to completely destroy an opponent base or town hall, you will get more treasure. 4. Replace the lost troops with new one, by training more. Tap the barracks and the train menu will show up. 5. Build a laboratory. You will have the possibility to upgrade your troops and gain more offensive power, alongside getting access to advanced troops. After all, it’s called Clash of Clans, right? In order to join one, you need to re-build the clan castle. Wait a few days after starting to play, find your clan castle and upgrade it. Once it’s done, look for a suitable clan to join. Remember, you need to find one with players that are online the same time as you are! And there you have it, the basics. Now that you know what Clash of Clans is all about and have already started playing, it’s time to move on to a bit more advanced things, which will help you progress in the game. Below you can find a list with some essential tips on how to play Clash of Clans efficiently, great no matter if you’re a beginner or already familiar with the game. As a beginner, you will be tempted to ignore the cost of units used for battle and waste all your resources on expensive ones. It’s true, they are great in battle, but they do cost a lot more. For example, Giants are very good, but way more expensive than Barbarians. The same goes for Dragons, compared to Giants. Besides the cost, also look at the time required to make each unit. 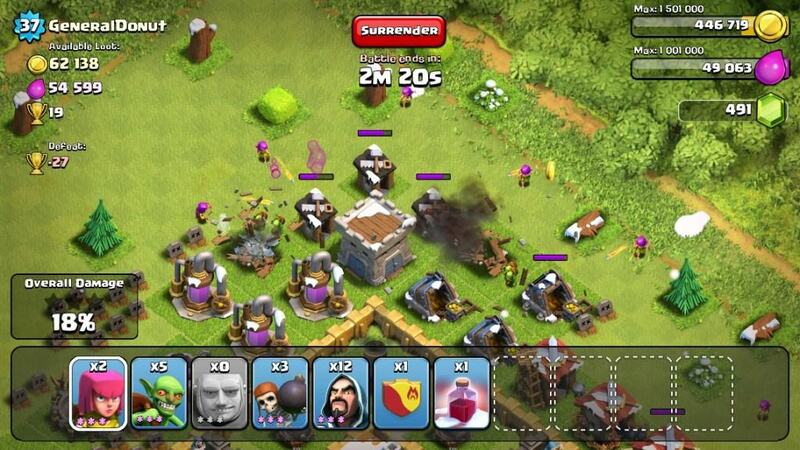 Instead of making a Wizard, for example, which needs 8 minutes, opt for 4 archers, who need less than two minutes. Remember, your primary goal is to save as much resources as possible, so focus on cheap units, that can be made quicker. Again, spells might have a great effect, but they are expensive and need time to produce. Still, if you want to use them, make sure that the current battle warrants the use of the one you want to use. 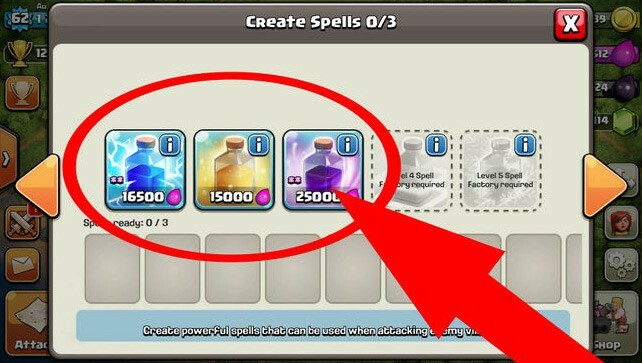 Each time you use spells, see if using it will allow you to earn an additional 15k or 23k resources, depending on the spell itself. This another essential thing you need to know about Clash of Clans. Even though it’s not mentioned during the game’s tutorial or anywhere else in the game, it’s extremely important to be aware about the Town Hall “loot penalty”. Basically, it reduces the amount of loot you can get from enemies if your Town Hall is at a higher level that your opponent’s. For example, if you’re with one level above your enemy, you will be able to steal 90% of the available loot. If you’re two levels higher, just 50%. Finally, three levels above reduces the amount to 25% and four levels to just 5%. The penalties are displayed in “Loot Available”. Considering this, make sure that as soon as your Town Hall reaches level 4 you start maxing out your defensive structures, your army camps and your research. Also, max out the wall, in order to get extra credit. Repeat for every level. At the beginning of the game, you have a three-day shield, but you are less likely to be attacked, since players are aware of the Loot Pentalty. On the other side, you can use this as an advantage, so start matchmaking fast, as there’s no risk of getting attack. In the eventuality of an attack, there’s no need to panic, as you won’t lose a lot of resources. In order to find the perfect base for attacking, don’t forget to use this button. It costs just a tiny bit of gold to jump from a base to another. 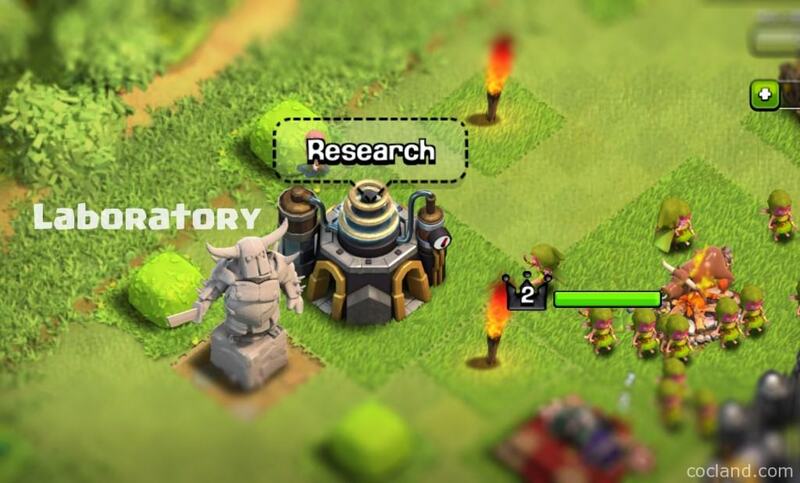 As soon as you reach level 7 with the Town Hall, your most important resource, always limited, will be Dark Elixir. Make it a priority and save your spells and units for when you gain a large amount of Dark Elixir. This is basically a no-brainer, but Clash of Clans is one of those games which requires a lot of time if you want to progress. There’s no secret that some of the best players in the world spend a lot of time with the game, because, after all, it’s pretty logic: the more you play, the better you get. Still, it’s not recommended and we don’t advise you to do it as well. Use this game as a way of relaxing and play for a couple of minutes when you have some time to kill, but definitely do not waste your time with it, since it’s just a game. 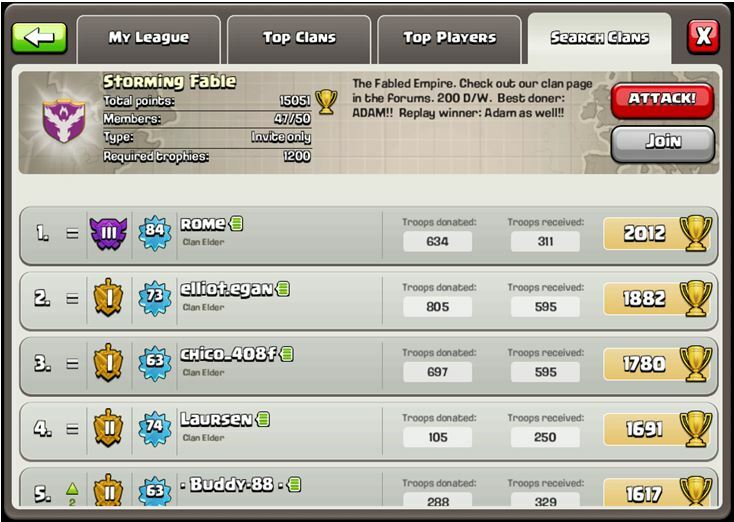 So, ladies and gents, this is where our ‘how to play Clash of Clans’ guide comes to an end. We hope that our strategies and tips will help you advance in the game as fast as possible and, of course, enjoy it to the max. If you find this guide helpful, feel free to share it! Also, if you think that you have some ideas about how to make it better, the comments section is open and waiting for your opinions.